Warner Bros. Home Entertainment will issue a compilation of some of Snoopy and Charlie Brown’s most prestigious specials on September 15, 2015 with Peanuts: Emmy® Honored Collection. 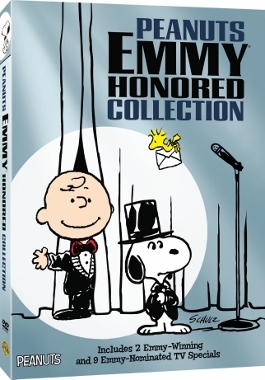 Boasting newly-remastered transfers, this collection gathers no less than 11 classic Peanuts specials, each of them being the recipient of either an Emmy® Award win or nomination. The two-disc set will contina more than four hours of Peanuts greatness.